Accessing the USB ports behind your Mac desktops is always a pain and that’s exactly why you may need a product like Jimi designed by Bluelounge. It does nothing more than acting as a USB extension but what truly makes it a star is its’ unique design. A beautifully crafted vertical stand for your Macbooks, the BookArc mod from Twelve Southrelieves your workspace from looking cluttered and messy. This arc shaped stand with a marvellous Birch finish poses to elevate your Macbooks from the workspace thus offering a much cleaner tabletop appearance. 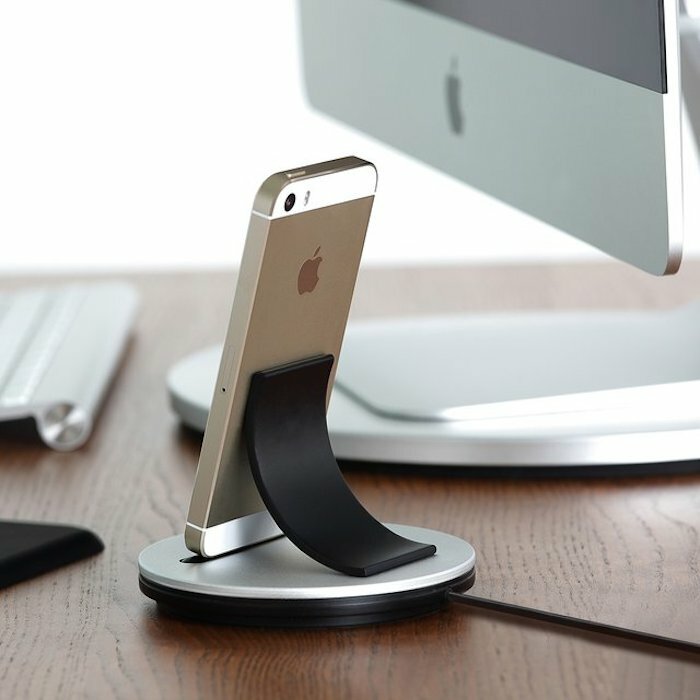 Just Mobile AluBolt is an upright lightning dock for the iPhone and iPad mini. The sprung lightning connector and the curved backrest are designed to securely hold the docked device vertical and at an inclination that’s just right for you. 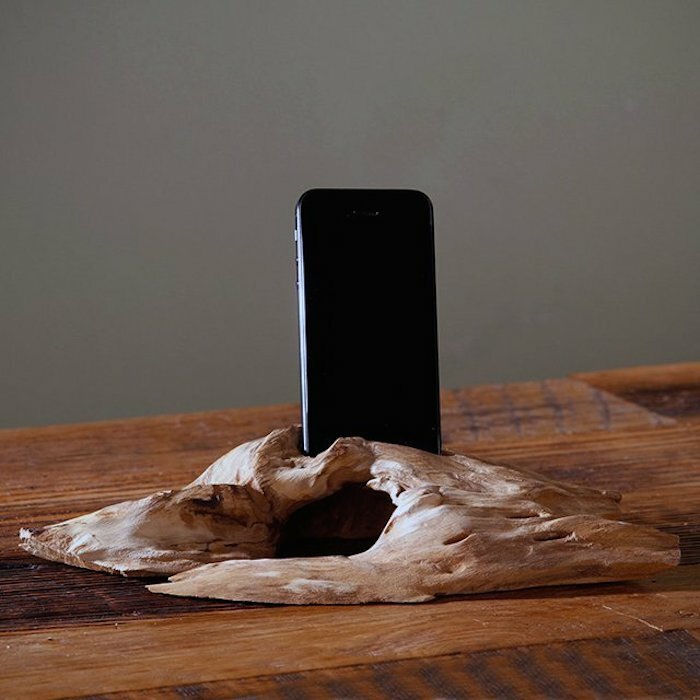 It can hold the iPhone with or without a case. Note that you will need an open-bottom case. The Skyline Ruler from Monkey Business is a design created by Shelly Freiman. It’s a marked ruler with the city skyline above it. You can get rulers sporting the London, New York, Paris, Berlin, Amsterdam, Toronto and Jerusalem skylines. You can draw measured straight lines with the ruler if that’s what you need. The Satechi F1 Smart Monitor Stand brings a sleek metallic look and vibe to your workspace, and it has an amazing capability to clean up all the clutter and mess of electronics on your desk. Your desktop monitor gets elevated on a stand which may be adjusted at two different heights to match your preferred level.